It’s not as great as giving every Apple user a free car, but hey, good literature is just as powerful as a cushy four-door sedan, right? 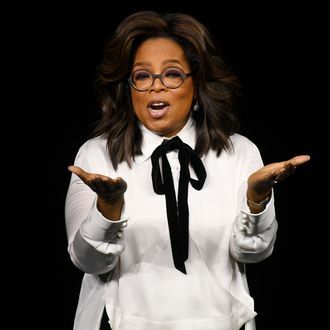 At its big event out West today, Apple unveiled — in addition to its slate of upcoming television shows and, uh, credit cards — that Oprah Winfrey will be bringing her beloved book club to the streaming service for our iOS era. The details are scarce as to how exactly Apple TV+ will be arranging the various threads of the club, so in the meantime, please allow Winfrey to be her own hypewoman while teasing what to expect. Winfrey’s book club was birthed as a recurring segment on The Oprah Winfrey Show in 1996, with its popularity among viewers and literature lovers alike nearly eclipsing the prominence of the show itself. It would later be revived as Oprah’s Book Club 2.0 when she expanded her digital media empire in 2012. Her selections have since become increasingly rare, with the latest pick being Michelle Obama’s memoir, Becoming.